As a freelance health journalist, I’m fortunate to be invited to many interesting events on health, beauty, fitness and other interesting subjects. Yesterday ranks as one of my favorites: Hosted by New York City’s Crave Fishbar and the Seafood Nutrition Partnership, the talented Chef Todd Mitgang and his staff prepped an amazingly delicious and varied mélange of seafood that would satisfy any seafood-lover’s palate. Seafood is one of my favorite things to eat and coupled with the fact that I gave up eating red meat over 30 years ago and I tend to be on the picky-eater side, I find that liking it the way I do affords me a wealth of choices. Registered dietitian extraordinaire Bonnie Taub Dix, who has not only become my go-to for stories but a good friend as well, peppered us with information and facts ranging from the superior nutritional value of fish to simple and delicious preparations. Seafood is abundant in Omega 3 fatty acids, which help not only curb inflammation in your blood vessels but can also lower your triglyceride level, a type of fat found in your blood. High concentrations of triglycerides can elevate your risk of heart disease and stroke. (Among some other sources of omega 3s are walnuts, flaxseed, chia seeds and edamame.) Seafood is also one of the highest-quality proteins there is, and can improve memory and sharpness, improve how you feel during pregnancy and help boost the brain and eye development of your child. Seafood’s health benefits are why it’s recommended by so many major health organizations, like the American Heart Association, the American Diabetes Association, the Dietary Guidelines for Americans and others. But Americans are not eating enough fish – the Seafood Nutrition Partnership recommends eating it at least twice weekly, and only one in ten consumers meet the goal of eating it that often. Why the gap? With so many varieties, it can get confusing. People don’t know how to cook it, or fear cooking it improperly. They may be unfamiliar with all the types, textures and tastes of fish. Or maybe they’re not getting adequate guidance from the place where they purchase it. One important fact (out of many) that is important to keep in mind: Seafood can be purchased fresh, but that’s not the only way to buy it. There are so many healthy options; it’s also great frozen (it’s frozen at the peak of freshness) or canned (which can be easy to store and just as nutritious). Unsure about how to know when shellfish is cooked? Shrimp – Will turn pink and become firm. Oysters, clams & muscles – Their shells open when they’re done. Scallops – Will turn white or opaque and become firm. Crab & lobster – The shells will turn bright red. The meat becomes white or opaque. Here’s what you need to know about cooking fish like salmon, trout, swordfish, etc. Use the 10-minute rule: Measure the fish at its thickest part and cook on medium heat (or 350 degrees Fahrenheit) for 10 minutes per inch of thickness. Turn halfway through; the internal temperature should measure 145 degrees Fahrenheit when fully cooked. 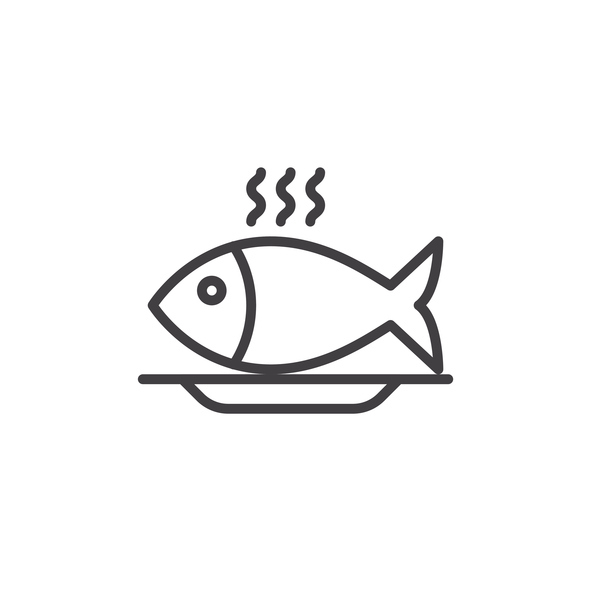 One sign of fresh seafood is that it should smell like the ocean – and have no unpleasant or “fishy” odor. Use fresh or defrosted seafood in one to two days. Make sure that all fresh seafood is kept refrigerated or on ice. There are zillion ways to prepare fish. Yesterday, we witnessed – then tasted – a super-easy way to prepare salmon in a toaster oven! Click here http://www.seafoodnutrition.org/recipes.html for some other healthy and delicious seafood recipes. 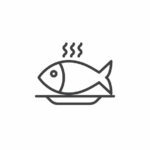 Knowing that older adults with the highest fish consumption lived an average of 2.2 years longer, and that seven out of ten deaths in our country are preventable through nutrition and lifestyle changes should get you eating seafood at least two times per week, I hope! A couple of things I’ve been wondering about: Do shellfish offer the same benefits of Omega-3s as fish? How do lake fish (perch, trout, walleye) compare to ocean fish? Those are all great questions, Joan! I’m going to reach out to some experts and hopefully find out,…I’d like to know, as well! Thanks for the tips I will consider them next time I prepare a fish.